What's more, the packaging of the food is a treat in itself. The pouch is designed to prove the simplicity of the product, and a window cut out shows the quality of the food inside. Over time, pet food has evolved from being an afterthought of human food waste to developing into nourishment that's often even better than much of the food that we eat. Along the way, a few pet food manufacturers have made strides by producing truly high quality products. Others have relied heavily on marketing and branding to make their point, rather than reviewing the ingredients used in their food. With the growth of convincing marketing strategies and vague pet food claims, Jessica has become increasingly skeptical of which brands are actually good for her pets. To appeal to Jessica's needs, it's crucial to ensure she's properly educated and has the right variation of products stocked at her local pet store. This way, she's able to make an educated decision on her own about what she's willing to feed her furry family. The first step is to examine the truth behind the trends in high quality pet food such as "grain free" and "limited ingredient." Once the meanings of those terms has been understood, proper stocking and merchandising will encourage her to make the right decision for her individual needs. As consumers continue to see more gluten free sections in grocery stores and more gluten free options on menus at restaurants, it's worth noting the infiltration of this diet into our society. The idea of grain and gluten free pet foods is similar to that of the Paleo diet for humans, as it takes the food consumption process back to something that resembles a more ancestral diet. Although the digestive system of both dogs and cats have evolved to process grains and glutens over time (with the exception of those who are allergic), it doesn't mean it's easy for them to do so. Grains are impossible to digest, and instead relies on fermentation to be broken down. This can result in upset stomachs, various disorders and even obesity. Most high quality pet food these days do not contain grains or gluten. Much of Applaws' cat and dog food is grain free and Supreme has even just released a Supreme Selective Grain Free brand of rabbit and guinea pig foods. Limited ingredient diets (LIDs) are just as simple as they sound: pet food without very many ingredients. Most of the time, the ingredients that are present are 100% natural and don't contain any additives or chemicals. With the rise of the humanization of pets, pet owners are drawn to diets that are similar to their own; they like feeding their pets food that they themselves would eat. 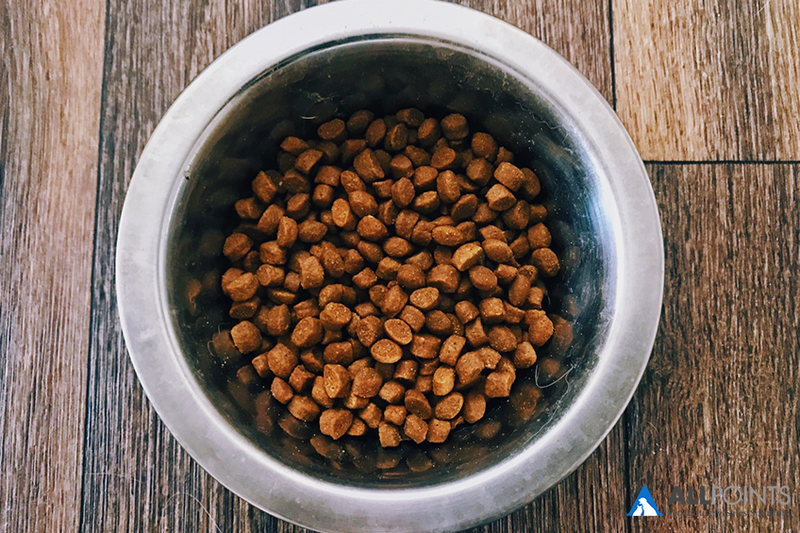 If you'd like to learn more about limited ingredient pet food diets, read our recent article which explains the category in more detail. One reason why limited ingredient and additive-free diets are preferred by pet owners is because the food is easier on the pet's digestive tract as there are no chemically processed or produced ingredients in the food. In other words, there is less for the pet's digestive system to break down, or break through, to gain the nutrition from the meat and natural ingredients themselves. The problem with synthetic "additive" vitamins and minerals is that they are chemicals, and pet's bodies digest them as such. The synthetic vitamins are the reason why many pets these days are harmed by vitamin toxicity. It's virtually impossible for real, all-natural vitamins to cause a toxicity, but it happens all the time with synthetic vitamins. Related Article: What Does the Humanization of Pets Mean for Pet Food? Now that we've explored the traits of high quality diets for dogs and cats, let's briefly dive into what differentiates a small animal food from good to better to best. For example, let's take rabbit food. A good quality rabbit food will include controversial ingredients (which you can read about here). These foods will also contain added sugars or molasses which can lead to pet obesity. These ingredients are highly controversial within the rabbit community and are often recommended to stay away from. A better quality rabbit food will be higher quality products than those in the "good" category, but will still likely include the added sugar or molasses. Sugar is often added to many commercial rabbit diets to increase the pellets' palatability. A best quality rabbit food does not contain any controversial ingredients but in some cases do contain added sugars. This is also the group that is most likely to prevent selective feeding through single or limited ingredients, while still offering high fiber amounts. Want to learn more about what makes a small animal food high quality? Read our recent article outlining it in higher detail here. Stocking the right pet food is the first step. Once you've got the right inventory, it's crucial to merchandise it so that customers like Jessica can make the right decision for their pet. Fortunately, we've put together a merchandising guide for the small animal category. However, it has concepts that work throughout the store as a whole, no matter what category you're merchandising.